“Everyone is an investor in food,” said Derek Denckla during a workshop I attended this past February at the Just Food Conference in New York City. Throughout the course of the workshop, I along with about 50 fellow participants were introduced to a trickling but steady stream of new investment channels cropping up all over New York City, created specifically to meet the needs of small, sustainable, local food enterprises. While one-size doesn’t fit all, there are definitely funding opportunities for everyone whether you’re looking to build a community compost bin, start up a quarter acre urban farm, or find investors to provide startup capital for a new artisan cheese shop. ioby.com ioby stands for “in our backyards,” and provides support to neighborhood-based community improvement projects by connecting them directly to donors and volunteers. 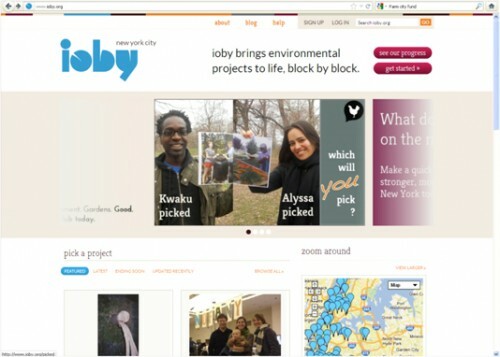 Since its launch in 2010, ioby has raised $174,618 for local projects across New York City’s five boroughs. So, if you’re looking for a little seed funding as well as a few helping hands, ioby should be your first stop. 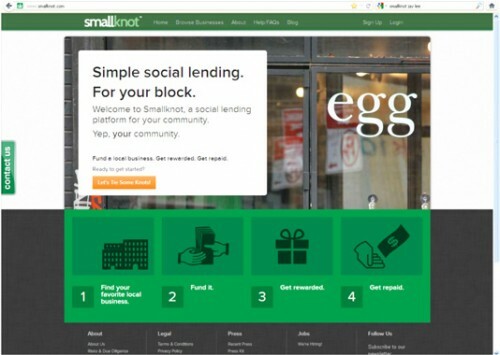 SmallKnot.com Need a loan for capital improvements for your restaurant or small business? Well, if you’re located in Brooklyn, check-out Smallknot – a local, social lending and community engagement platform for small businesses. It’s like Kickstarter but for small businesses. 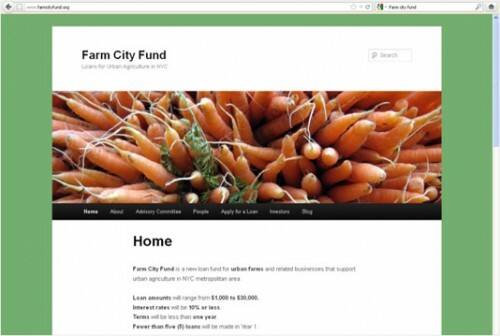 Farm City Fund For New York City’s urban farmers, there’s Farm City Fund. The new fund is looking to support the growth of urban farms and related businesses in the New York City metropolitan area. Beginning this March they’ve committed to distributing small-loans ranging from $1,000 to $30,000 with interest rates set at 10% or less. Accion USA Accion USA is a microfinance organization that provides small business loans to microentrepereneurs. Since 1991 they’ve provided over $119 million in over 19,000 microloans. Accion USA’s Brewing the American Dream loan provides loans in amounts up to $25,000 to food, beverage, and hospitality entrepreneurs of New England. In addition to loans they also provided training and technical assistance for small businesses.